Improving policy that contributes to diets and reducing obesity are two of the goals of researchers from City University London who are promoting healthy and more sustainable eating by working with policy makers. For over 20 years academics at The Centre for Food Policy (CFP) at City have been researching how policy-making processes work and how they both reflect and shape the nature of food supply and consumption. 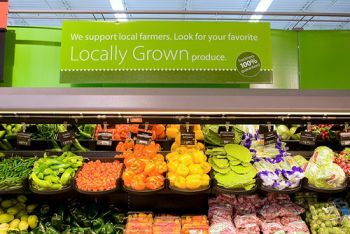 The Centre's approach is to look at food policy from the perspective of the public. CFP is primarily interested in the role food in society and the impact on health, environment, social justice and the economy. The lead researchers at the CFP are Professors Tim Lang and Martin Caraher and Dr David Barling. Through high level debate on sustainable diets and identifying the realities that shape health literacy, the CFP proposals have had a significant impact on government, companies and major supermarkets. One of the CFP's key research areas is on sustainable diets. Nutritionists and official guidelines recommend consumers eat fish, yet fish-stock data justify concerns about unsustainability. The CFP researched such examples as evidence of general contradictions between evidence and reality in health, environmental and price signals. As a result of this work Professor Lang was invited to co-chair the 2010 process of producing the first global definition of Sustainable Diets, under the auspices of the UN Food and Agriculture Organization (FAO) and Bioversity International (part of the UN's Global Consultative Group on International Agricultural Research). The definition is now widely cited and Professor Lang's role acknowledged. Professor Lang went on to present on sustainable diets to the European Commission meeting on mainstreaming sustainable lifestyles in Brussels and was invited to write papers on sustainable diets for UN bodies including the FAO, the UN Environment Programme and the World Health Organization (WHO) and argued that consumers need more coherent advice from industry and government. The CFP presented at Non-Governmental Organisations (NGO) meetings between 2011 and 2013 and actively helped to create a 31 NGO Eating-Better alliance launched in July 2013. WWF, the world's largest conservation NGO, cites CFP as the inspiration for its Livewell project created to link health and environmental criteria in population advice and which is now being rolled out across Europe and globally. It was proposed as a sustainable alternative to the government's Eatwell plate - a plate shaped chart that highlights the different types of food that make up our diet, and the proportions we should eat them. Since 2008, CFP academics have regularly been meeting influential industry figures and public health bodies. 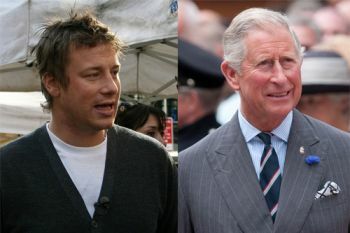 The CFP was invited by Jamie Oliver and the Prince of Wales to a stakeholder meeting on cooking and food skills. The CFP also hosted its first (now annual) Food Symposium on Food Skills in October 2010. The Centre is recognised as one of the global leaders on this issue, having produced one of the first reports on cooking in the English population in 1999. Between 2008 and 2010 Professor Caraher examined the impact of a 'chefs in schools' teaching programme for English primary school children. The Chefs Adopt a School (CAAS) scheme, run by the Academy of Culinary Arts, reaches 21,000 primary children annually and sees professional chefs linking with local schools to deliver three sessions to a school class per year. Topics include healthy eating, flavour and food preparation. Professor Caraher's research results reported the positive impact CAAS has on child cooking confidence, uptake of vegetables and awareness of a healthy diet. This was complemented by work on community projects in Liverpool with a social enterprise called Can Cook. In the London boroughs of Tower Hamlets and Haringey, Professor Caraher researched the prevalence and spread of fast food outlets, finding that around schools, fast food outnumbered 'healthier' outlets by five to one. The visual and physical walk-to-school experience of children was also explored. Professor Caraher's mapping of fast food outlets around schools is now being replicated in other areas: Glasgow, Sandwell, Oldham and London (in many of its boroughs). The Mayor of London worked with the Chartered Institute of Environmental Health to produce a Takeaways Toolkit for local authority use, citing Professor Caraher's research, as did the Mayor's report on inequality in London. The work was used by the GLA to inform its recent series of poverty in London reports such as Zero Hunger City: Tackling food poverty in London. Professor Caraher's work has also emphasised the role of planning to protect consumers from excessive fast food offer. It contributed to the development of National Institute for Health and Care Excellence (NICE) Public Health Guidance on the Prevention of Cardiovascular Disease (Professor Caraher was a member of the group which developed the Guidance) and also informed a NICE group on planning (of which he was also a member) as a public health issue. The quality of CFP research is widely acknowledged as being very high; it has had a major influence on the agenda in its field - empowering citizens to eat better, more sustainably and lead healthier lives.